Calons is an old word (Roman time) for wood. Saint-Estéphe origin from the parrish of Calon. 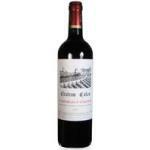 The wine of Bordeaux or at least Haut-Médoc started to grow in Calon. 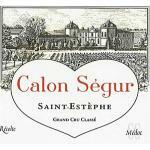 Once the vineyards of Calon was the largest of Saint-Estèphe. 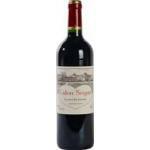 The Château got it's name after the owner Marquis Alexander de Ségur, President of the Parlement of Bordeaux. He was also owner of Lafite, Latour, Mouton and other estates toghether with the hillside of Montrose. 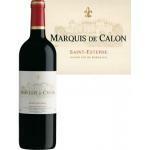 The sayings says that he once said, "I make wine at Lafite and Latour, but my heart is at Calon. This should have been just before his empire collapsed. There is a heart on the label. During the 20th century the estate has been owned by the Gasqueton family. 1962 Edouard Gasqueton died and his brothers son Philippe took over the management. 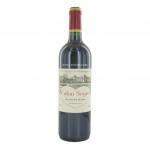 ...Wine is often considered one of the strongest wines of Saint-Estèphe and most complete body of the denomination. 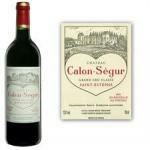 Chateau Calon Segur also produces a second wine called Marquis de Segur and Cru Bourgeois: Capbern Gasqueton.